"CRITICS’ PICK! 'DOT' IS UPROARIOUSLY FUNNY! DEEPLY MOVING! THE CAST IS TERRIFIC." The holidays are always a wild family affair at the Shealy house. But this year, Dotty and her three grown children gather with more than exchanging presents on their minds. As Dotty struggles to hold on to her memory, her children must fight to balance care for their mother and care for themselves. 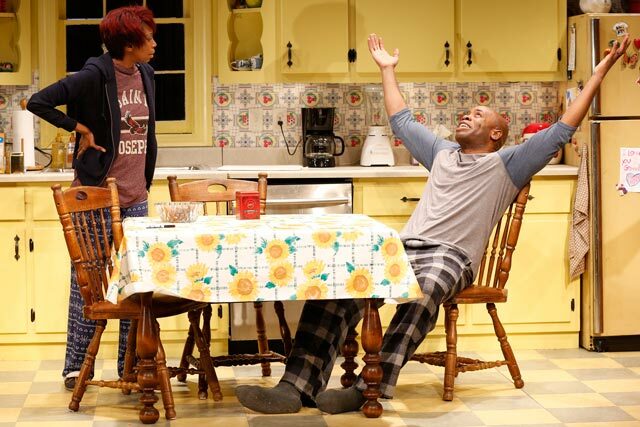 This twisted and hilarious new play grapples unflinchingly with aging parents, midlife crises, and the heart of a West Philly neighborhood. Colman Domingo (WILD WITH HAPPY) returns to The Vineyard following his solo show A BOY AND HIS SOUL and Tony Award® nomination for THE SCOTTSBORO BOYS, reuniting with Tony Award®-winning director Susan Stroman after her ground-breaking work on THE SCOTTSBORO BOYS. “‘DOT’ IS RAUCOUSLY FUNNY AND MOST REWARDING! P.K. Beville, a clinician working in dementia care for over 30 years and the creator of the Virtual Dementia Tour, will give insight into dementia and strategies for caregivers. Tia Powell, MD, an expert on bioethics, will lead a discussion on dementia and public policy. Dr. Powell is the director of the Montefiore Einstein Center for Bioethics and Einstein Cardozo Master of Science in Bioethics, as well as Professor of Clinical Epidemiology, Clinical Psychiatry at Albert Einstein College of Medicine. Evan Bass and Miranda Wilson are co-researchers and developers of Scripted-IMPROV, which utilizes a mix of drama and improv techniques to better connect with individuals who have Alzheimer’s. This discussion will highlight simple methods to reduce the four A’s of the disease: Anxiety, Agitation, Aggression and Apathy to help create more meaningful interactions with individuals living with Alzheimer’s. Representatives from Alzheimer’s Disease and Related Disorders, New York City, Inc. will be present to discuss support and resources for individuals and families affected by an Alzheimer’s diagnosis. Director Susan Stroman will be joined by Tony Award-winning actor and advocate David Hyde Pierce (Vineyard’s THE LANDING, director of Broadway’s IT SHOULDA BEEN YOU) for a discussion of themes raised by the play. Pierce has worked with The Alzheimer’s Association for nearly twenty years as a board member and national spokesperson. He has testified before Congress and served on the federal Advisory Council on Alzheimer’s Research, Care, and Services, providing guidance to the Secretary of Health and Human Services. In 2010, he was awarded the Tony Awards’ Isabelle Stevenson Award for his work in the fight against Alzheimer’s disease. *A ticket to the performance is required to attend the post-show discussion. "'DOT' IS RAUCOUSLY FUNNY AND MOST REWARDING! "'DOT' IS ROLLICKING AND AFFECTING! 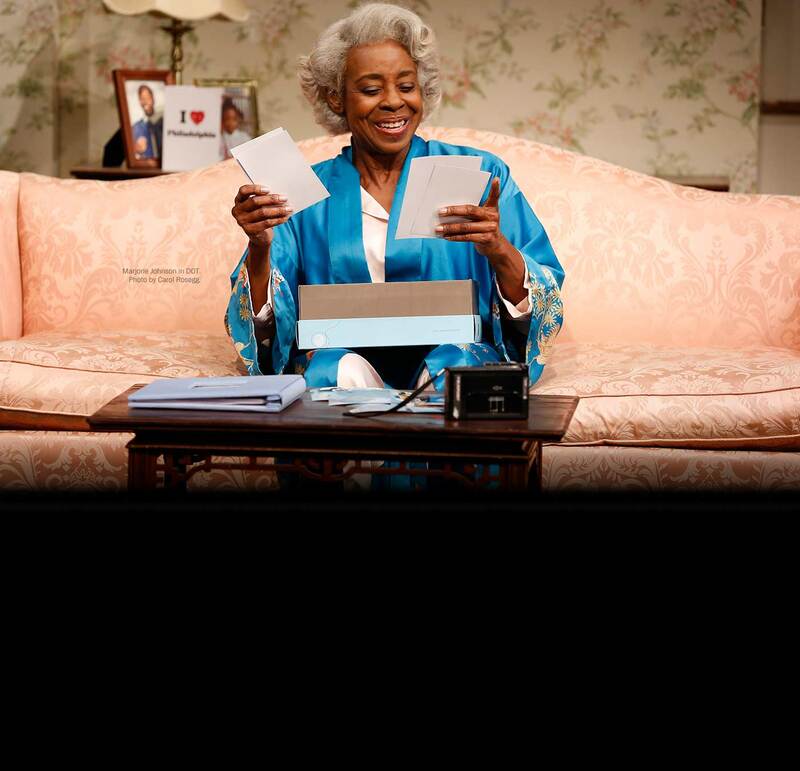 "A MAGNIFICENT NEW PLAY! FULL OF LAUGHTER AND HEARTBREAK. Director Susan Stroman will be joined by Tony Award-winning actor and advocate David Hyde Pierce (Vineyard’s THE LANDING, director of Broadway’s IT SHOULDA BEEN YOU) for a discussion of themes raised by the play. Pierce has worked with The Alzheimer's Association for nearly twenty years as a board member and national spokesperson. He has testified before Congress and served on the federal Advisory Council on Alzheimer's Research, Care, and Services, providing guidance to the Secretary of Health and Human Services. In 2010, he was awarded the Tony Awards’ Isabelle Stevenson Award for his work in the fight against Alzheimer’s disease. (Casting Director) Vineyard Theatre: GOOD GRIEF, THE AMATEURS, HARRY CLARKE, THE LYONS (and Broadway), GLORIA (and Goodman), DOT, THE LANDING, CAN YOU FORGIVE HER?, KID VICTORY (and Signature DC), TOO MUCH SUN, BILLY & RAY, SOMEWHERE FUN, THE NORTH POOL, ARLINGTON, OUTSIDE PEOPLE, CHECKERS, PICKED, MIDDLETOWN, THE METAL CHILDREN, WIG OUT!. Other theater: KPOP, SMALL MOUTH SOUNDS, NATASHA, PIERRE, & THE GREAT COMET OF 1812; THE WILDNESS (Ars Nova). Sundance Theatre Lab: 5 seasons. Television: US Casting for “Black Mirror,” Comedy Central's "The Other Two" with Allison Estrin, HBO's “Succession” and Amazon’s “Mozart in the Jungle” with Douglas Aibel. Film: Saturday Church, It Felt Like Love, Easy Living; with Douglas Aibel – Grandma, Love After Love, How to Talk to Girls at Parties; with Allison Estrin – Spider-Man: Homecoming (NY Casting). Also: "Homecoming The Podcast" S1-2. 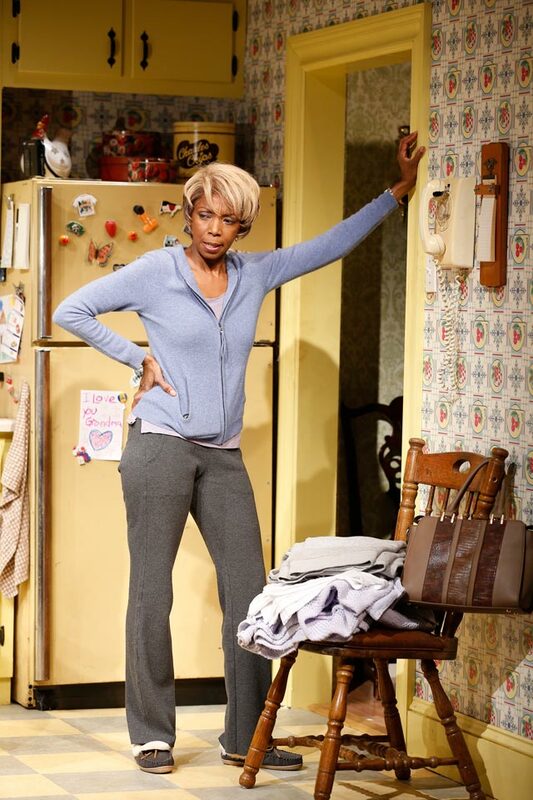 This is Ms. Stroman’s fourth show for the Vineyard Theatre — she directed the Colman Domingo play DOT, choreographed FLORA THE RED MENACE, and directed and choreographed the Kander and Ebb musical THE SCOTTSBORO BOYS, which was nominated for 12 Tony Awards and won the London Evening Standard Award for Best Musical. On Broadway, she directed and choreographed THE PRODUCERS, winner of a record-making 12 Tony Awards. Other Broadway credits include CONTACT for Lincoln Center Theater, PRINCE OF BROADWAY, BULLETS OVER BROADWAY, BIG FISH, CRAZY FOR YOU, SHOW BOAT, OKLAHOMA!, THE FROGS, THE MUSIC MAN, THOU SHALT NOT, STEEL PIER, BIG, and PICNIC. Off-Broadway credits include AND THE WORLD GOES ‘ROUND, HAPPINESS, and THE LAST TWO PEOPLE ON EARTH: AN APOCALYPTIC VAUDEVILLE. She has directed opera, created ballets and has been represented in television and film. A five-time Tony Award winner, her work has been honored with Olivier, Drama Desk, Outer Critics Circle, Lucille Lortel, and a record five Astaire Awards. 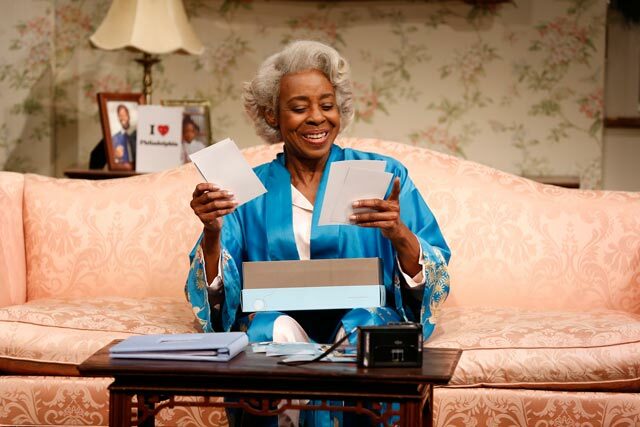 She is the recipient of the George Abbott Award for Lifetime Achievement in the American Theater and a member of the Theater Hall of Fame in New York City. Vineyard Theatre: DOT, OUTSIDE PEOPLE, METAL CHILDREN. Recent Theater Credits: THE LOW ROAD (Public), JUNK (Lincoln Center/Beaumont), SIX DEGREES OF SEPARATION (Barrymore Theater, B’way), FULLY COMMITTED (Lyceum Theater, B’way), Deaf West’s SPRING AWAKENING (Tony Award nomination, Atkinson Theater, B’way), FUN HOME (Tony Award nomination, Circle in the Square, B’way). In addition to theater, Ben designs concerts, dance, opera, and installations. In 2015 he received an Obie Award for Sustained Excellence in Lighting Design. 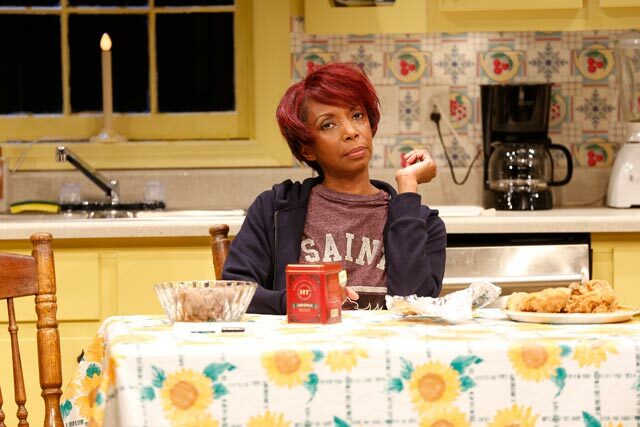 Vineyard Theatre: THE AMATEURS, THIS DAY FORWARD, DOT. Broadway designs include M. BUTTERFLY, SUNSET BOULEVARD, BANDSTAND, INDECENT, THE VISIT, THE REAL THING, VIOLET. Off-Broadway designs include: JERRY SPRINGER: THE OPERA, LITTLE MISS SUNSHINE, HERE LIES LOVE, BURIED CHILD, PERICLES, BOOTY CANDY, MY NAME IS ASHER LEV, GOOD PERSON OF SZECHWAN, ROMEO AND JULIET. 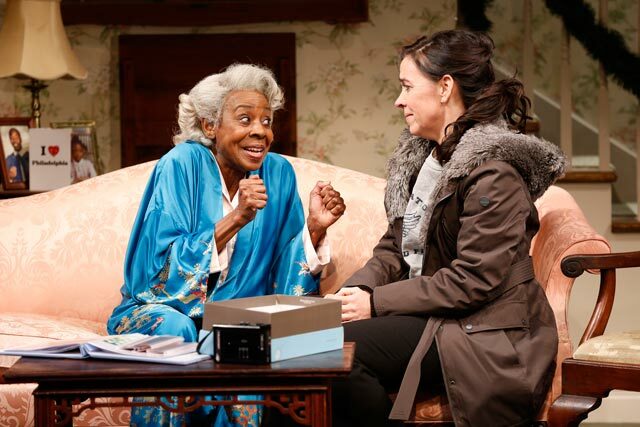 returns to The Vineyard as Associate Director, having held the same title on Colman Domingo’s DOT. 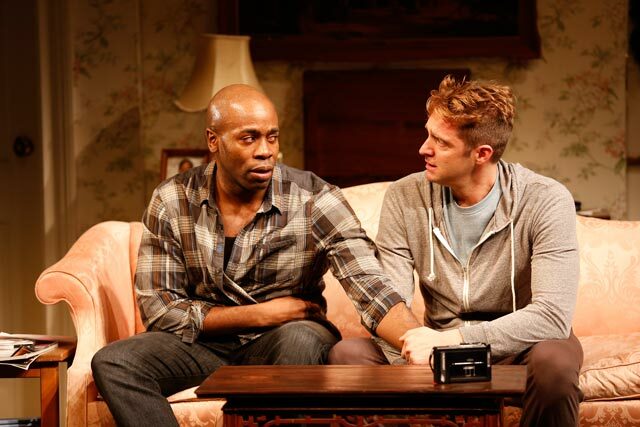 He was most recently seen on Broadway in PRINCE OF BROADWAY at Manhattan Theatre Club. Prior to that, he Associate Directed the Broadway revival of FALSETTOS and will resume that position for the national tour in the coming year. He was on the original creative team of THE SCOTTSBORO BOYS and worked on all productions in the US and UK. Broadway performing credits include THE APPLE TREE, BULLETS OVER BROADWAY, and CHAPLIN. Eric is board member of the Broadway Method Academy, Westport Country Playhouse’s resident conservatory. Monday - Wednesday at 7pm | Thursday - Saturday at 8pm | Saturday at 3pm CLICK HERE for complete calendar. (L to R) Sharon Washington, Marjorie Johnson, Finnerty Steevens. Photo by Carol Rosegg. (L to R) Finnerty Steeves, Sharon Washington. Photo by Carol Rosegg. Sharon Washington. Photo by Carol Rosegg. (L to R) Sharon Washington, Stephen Conrad Moore. Photo by Carol Rosegg. Marjorie Johnson. Photo by Carol Rosegg. (L to R) Marjorie Johnson, Finnerty Steeves. Photo by Carol Rosegg. (L to R) Marjorie Johnson, Colin Hanlon, Libya V. Pugh, Sharon Washington. Photo by Carol Rosegg. (L to R) Michael Rosen, Marjorie Johnson. Photo by Carol Rosegg. ( L to R) Stephen Conrad Moore, Colin Hanlon. Photo by Carol Rosegg. (L to R) Stephen Conrad Moore, Colin Hanlon. Photo by Carol Rosegg. (L to R)Stephen Conrad Moore, Finnerty Steeves. Photo by Carol Rosegg. 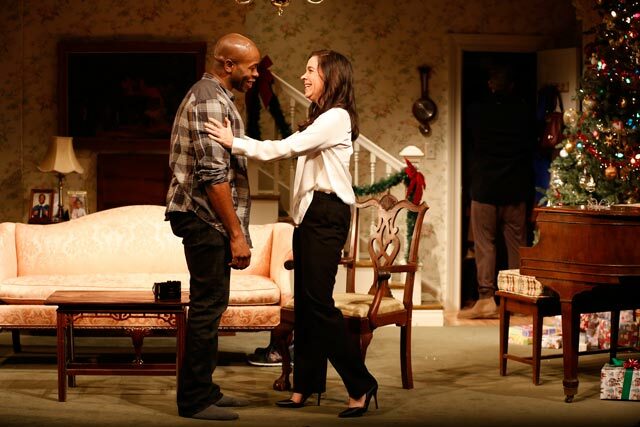 "'DOT' IS DISARMINGLY FUNNY AND MOST REWARDING!